Palm Beach Post. 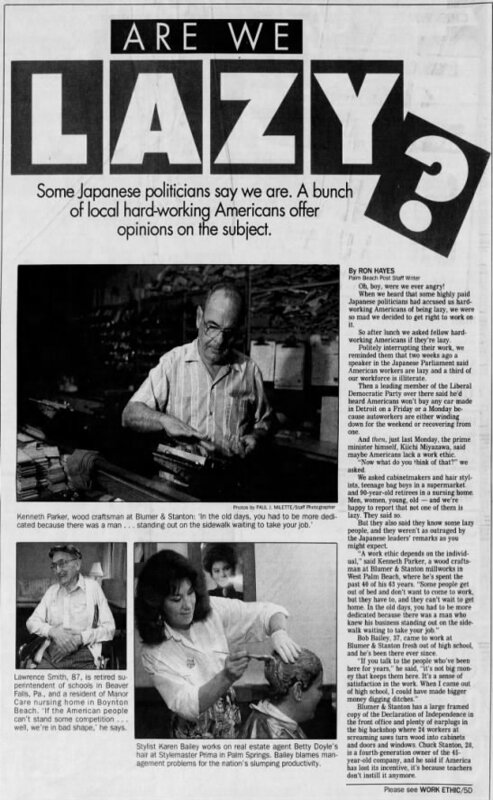 Friday, February 7, 1992 - Blumer & Stanton, Inc.
Palm Beach Post. Sunday, April 28, 1968.